The Nottingham Nightguard is an aid to help prevent a person rolling out of bed. The side rail simply slides underneath the mattress and can be secured to the bed frame using the provided cords. Only suitable for divan beds. 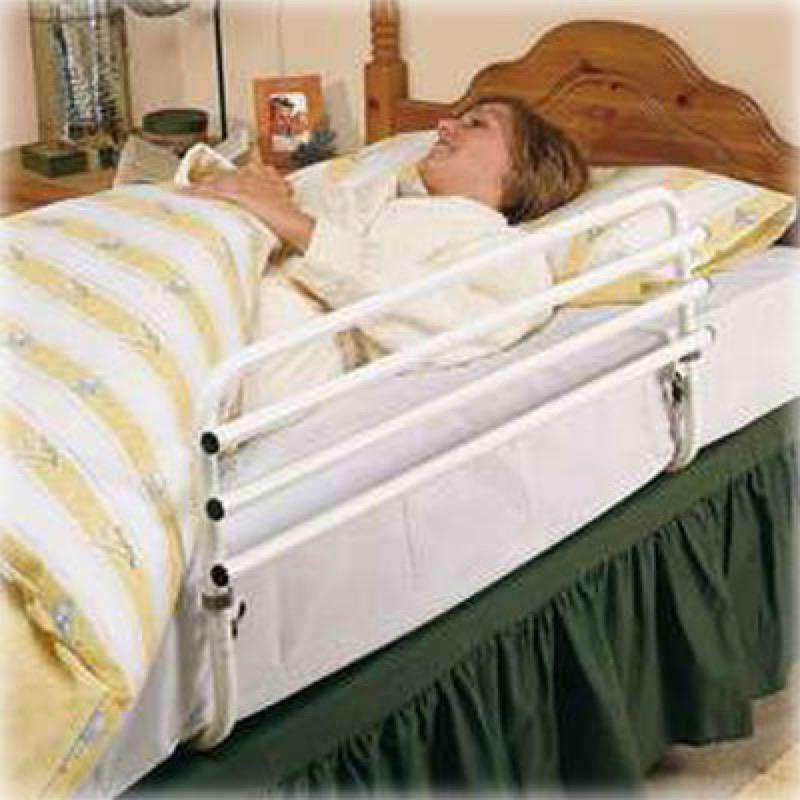 The Nottingham Nightguard is an aid to help prevent a person rolling out of bed. The side rail simply slides underneath the mattress and can be secured to the bed frame using the provided cords. The weight of the user secures the nightguard and helps prevent the user rolling out of bed. The nightguard is constructed from epoxy coated steel and is easy to assemble. The nightguard is supplied flat packed. The cords which clip to the bed frame for additional security are removable. The nightguard is only suitable for divan beds.